The Animamix Biennial is unique. The first was held in 2007, organised by Victoria Lu, an experienced curator and the Artistic Director of the Museum of Contemporary Art in Shanghai. This years show, also curated by Lu, spans four galleries: the Museum of Contemporary Art (Taipei, Taiwan), the Museum of Contemporary Art (Shanghai, China), Today Art Museum (Beijing, China) and the Guangdong Museum of Art (Guangzhou, China). It presents art that develops or embodies the Animamix aesthetic, artwork that combines the styles of animation and comics. 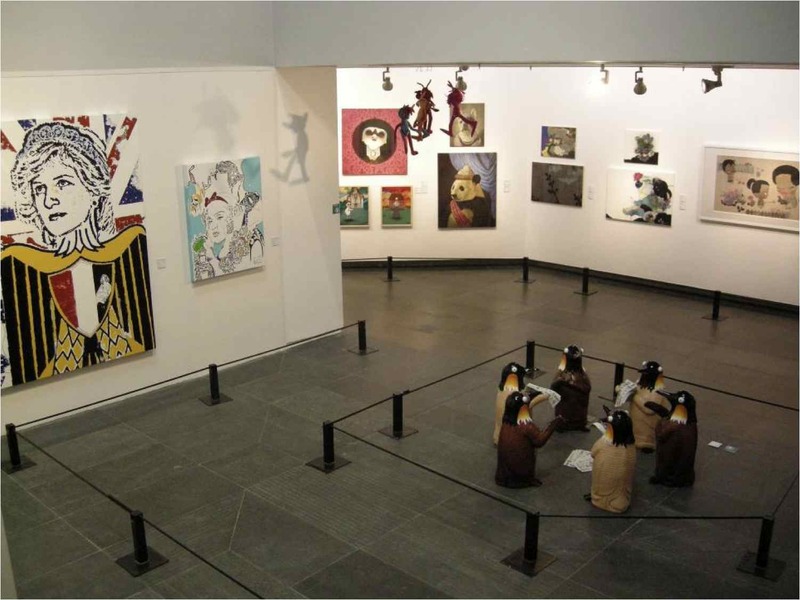 The term “Animamix” was actually coined in 2004 by Lu when she became aware of the emerging stylistic trend while curating Fiction.Love at the Museum of Contemporary Art in Taipei, Taiwan. 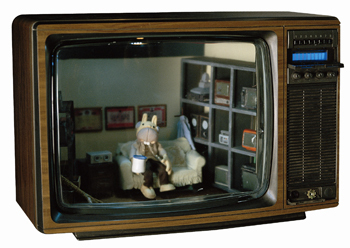 Animamix is now entering the mainstream, pushing the artists who have developed this style into the spotlight, artists such as Takashi Murakami (Japan), mixed-media visual artist Trenton Doyle Hancock (U.S.A.) and Brazilian painter Oscar Oiwa. As the style encompasses a broad range of mediums, and is often brightly coloured with bizarre narratives, it has an inherent ability to attract attention. 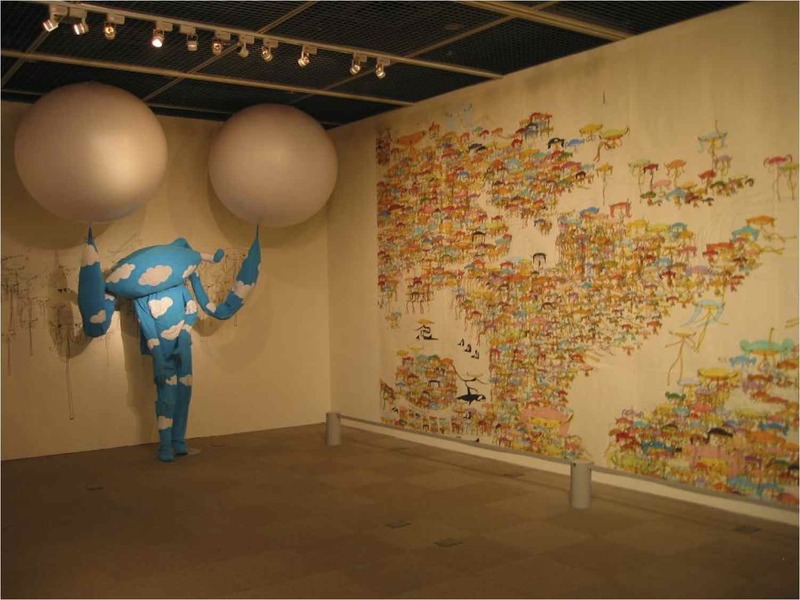 The Animamix Biennial was inaugurated in 2007. Since then, has this art direction become more recognisable to mainstream audiences or does it still sit on the fringes? This answer is rather difficult to define. If I judge by the growing numbers of Animamix direction artworks in the international art fairs, I can say yes. The Animamix direction is growing internationally. Is this style popular internationally (for audiences, dealers and buyers) or is the popularity restricted to the Asian region? There is more Animamix kind of artworks available in Asia market for the moment, so I believe Animamix art is more popular in Asia. But there are more and more artists in Europe working [with an] Animamix direction. Why did you want to start this Biennial? I am tired of the current international biennials. There are a group of curators [which have been] leading the conceptual direction for too long. You will find [that] very similar artists list no matter where you go. So I want to try something new, something different. My concept for the Animamix Biennial is an ongoing evolution of art exhibitions and activities. This kind of biennial can really reflect the local art scene. Would it be fair to say this Biennial is an Asian-initiated event focussing on an art trend that is becoming more globalised? International biennials were started in Europe in the early last century. Now biennials are becoming more and more popular in the Asia, starting from the beginning of this century. Many cities in Asia are competing for the exposure of their art and culture. Generally, how has the exhibition been received by critics and museum patrons? My Animamix shows are very well received by audiences. So far we have also been well received by the critics. Which artists have been well received by critics and audiences? Are there any “stars” of the Biennial? I cannot say who the stars are. They are all important to me. The final leg of the Animamix Biennial, Dazzled and Enchanted – New Age Animamix, is now showing at the Guangdong Museum of Art in Guangzhou, China. The show will close on 28 February 2010. The influence of these three forms of Japanese contemporary art and popular culture has been sweeping across Asia and around the world. This unique traveling survey of contemporary Japanese culture was organised by Vancouver Art Gallery. KRAZY! will be New York’s first major show dedicated to the Japanese phenomenon of Anime, Manga, and Video Games-three forms of contemporary visual art that are exercising a huge influence on an entire generation of American youth. The exhibition, organized by the Vancouver Art Gallery, will be presented in an environment designed by cutting-edge architectural practice Atelier Bow-Wow, featuring life-size blowups of popular figures from the worlds of anime and manga within an intriguing sequence of spaces that evoke Tokyo’s clamorous cityscape. Co-curated by leading North American and Japanese specialists, KRAZY! will give visitors a direct experience of new forms of cultural production and offers fresh insight into the interdependence of three art forms of the future. Video – Brief trailer describing how visitors can interact with the show – 6 movie theatres, a sound room, games consoles etc. Ichiro Itano (Super Dimension Fortress Macross), Yoko Kanno (Cowboy Bebop, Ghost in the Shell: Stand Alone Complex, Wolf’s Rain), Satoshi Kon (Paprika), Mamoru Oshii (Patlabor 2: The Movie), Katsuhiro Otomo (Akira), Makoto Shinkai (The Place Promised in Our Early Days), and Masaaki Yuasa (Mind Game). Moyoco Anno (Sakuran), Hisashi Eguchi (Stop!! Hibari-kun! ), Taiyo Matsumoto (Tekkon Kinkreet: Black & White), Junko Mizuno (Pure Trance), Mamoru Nagano (The Five Star Stories), Hitoshi Odajima (Mu: For Sale), Takashi Okazaki (Afro Samurai), and Yuichi Yokoyama (New Engineering). Editor of Asia Art Archive’s Diaaalogue, Sue Acret spoke to Chinese artist Cao Fei about her Second Life project RMB City which was officially launched in January 2009. In this project which uses as a medium the online virtual world called Second Life, Cao Fei develops new roles for collectors and art institutions which blur the lines between digital and real. Susan Acret: Please tell us about your avatar China Tracy and the RMB City work and how the online world of Second Life became a platform for these works. Cao Fei: During the creation of i.Mirror and the China Tracy Pavilion (A machinima-documentary about China Tracy’s first explorations of Second Life, and the large-scale installation where it premiered at the 2007 Venice Biennale), I started to think about creating a place that belonged to China Tracy within Second Life… her own ‘city utopia’. China Tracy felt that since most cities within Second Life were Western in style, she wanted to represent some of her concepts about Chinese urban development in a space that incorporated Chinese aesthetics and identity, albeit in a surreal hybrid style. S.A: You’ve said that your generation, brought up in a digital world, ‘will always compare virtual and real’ and that sometimes the boundaries between the two can be blurred. Your art reflects this movement between these two spheres. What opportunities do virtual worlds offer artists that are not available in the ‘real’ world? C.F: Second Life is a world where the conventional free-market economy still applies. Although we call it a virtual world, its economic structure and the virtual currency is tied with the ‘real’ economy. From a visual perspective, Second Life appears to be hyper-real and excessively imagined. Combined with its uncertain identity, it can be mysterious and enigmatic to people. On arriving in this virtual world, China Tracy was attracted by the hyper-real prison, but also felt an unavoidable sense of oppression. Although the boundary between virtual and real is becoming more and more blurred, the way the virtual world contradicts and coincides with reality offers something ambiguous and complex. This, to a certain extent, enhances our lives as a whole, providing a reference for the exploration of individuality and the nature of life. Another reason that the virtual world appeals to me is that it transcends obstacles in reality, despite being hyper-real. It offers a virtual platform for human beings to experiment with a possible utopia, such as building an individualistic heaven, drafting laws and systems, generating new discussions and thoughts, etc. S.A: How many collaborators have you worked with for your RMB City project? How do you find your collaborations with these ‘real’ people? C.F: Collaborators involved in RMB City include collectors, galleries, scholars, researchers, artists, schools, various exhibition projects, commissioned projects, biennials and triennials, etc. We invite collectors to actively participate in the actual development of the city. For example, we invited Mr Uli Sigg to be the first governor of the city (for 3 months), in order for him to oversee and propose a blueprint for the utopia of RMB City in terms of its systems, construction and direction. We are now working closely with Serpentine Gallery. They are one of the real information centres for RMB City. Also, UCCA which will collect RMB City, will have a virtual art gallery and other independent projects. Some art organizations are willing to rent spaces to be involved in this project and also develop their own projects. I have realized personal projects for biennials and triennials via RMB City, for example, for the 2008 Yokohama Triennial and New Orleans Biennial, as well as on some consigned projects, such as H Box’s video project. I would like to some overseas artist residency programs to take place the RMB City’s platform. We invite different parties (not just limited to the art field) in the real world to participate in the virtual world. We also invite Second Life avatars who are interested in our project. Therefore, RMB City insists on ‘the cooperation of virtual and real’: collaborators should come from both worlds. Through this process, we hope to improve conventions and develop a new path. S.A: Your use of internet platforms such as You Tube and Second Life is a democratic, open way of creating work, insofar as it is available freely to large numbers of people all over the world. Do you often get feedback from ‘non-art’ audiences on the internet? C.F: Yes. I have received emails and messages to China Tracy in Second life, and comments on my YouTube videos, and friend-offers via My Space and Facebook. I quite like these different forms of feedback from different channels, and meeting different people in different worlds. S.A: Born in the late 1970s and brought up in the ’80s, can terminologies such as Generation X (the consumerist generation) or Generation Y (the Net-generation or Generation Why) describe who you are? From COSplayers to the RMB City project, are your art projects the result of generational influence or your personality? C.F: Since 1978, China has undergone an inevitable reorganization. Before we were ready to respond, we were already receiving all kinds of influences from a new time. Everyone is the product of a generation; ‘I’ am an individual as well as a transcendental object. Perhaps a young person who attempts to influence the world or China Tracy who surfs around the virtual world, are indeed coming from the same route. And as for me, I remain extremely close to yet with an appropriate distance from any of these worlds. This gives me a macro view of the ‘world’. And then I decide how I should deal with it and derive my system to process all the complex messages of life. In Chinese terms, it involves entering (reality) and renouncing (the virtual) the world simultaneously. This journey is to experience both worlds while constituting the two. This interview is edited. For the full version of this fascinating interview and more images go to Asia Art Archive. 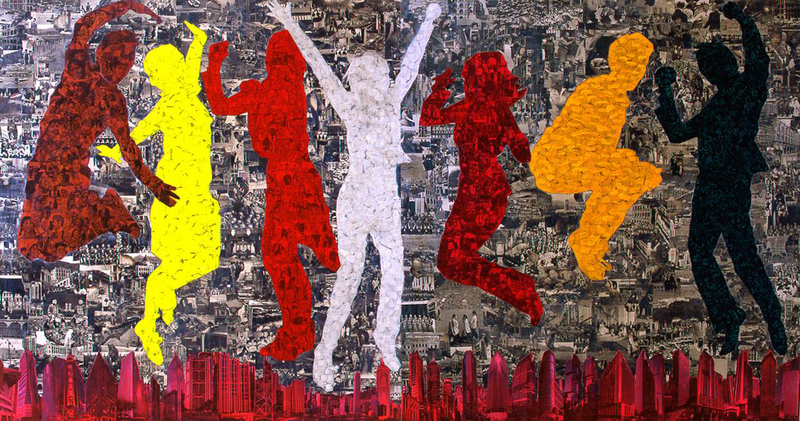 Born in Guangzhou in 1978, Cao Fei is one of the most important Chinese artists of her generation. Since the turn of the millennium, she has gained considerable attention from international curators such as Melissa Chiu of the Asia Society in New York and renowned Chinese art collectors Uli Sigg and Wang Guanyi. Cao Fei’s work was recently shown in London at China Power Station: Part 1, an off-site Serpentine Gallery exhibition of contemporary Chinese video, sound and installation art co-produced by The Red Mansion Foundation at Battersea Power Station. Cao Fei is now particularly concerned with developing the technical possibilities of film, animation and the Internet in order to depict the swift and radical social and cultural changes in China. The exhibition presents her latest projects such as RMB City and i.Mirror. Since 2007 Cao Fei has been developing these utopian cities and future forms of living on the Net – on ‘Second Life’ – as her avatar China Tracy. The exhibition in the Kunsthalle Nuremberg is the first comprehensive solo exhibition of the Chinese artist’s work in Germany, organised in collaboration with Vitamin Creative Space, Peking/Guangzhou and Le Plateau, Paris. She grew up in a world dominated by advertising and the electronic entertainment industry as developed in Hong Kong and Taiwan, and in her video films and sculptural installations she combines the influences of a global post-Pop culture with traditional elements of opera, the theatre or dance. 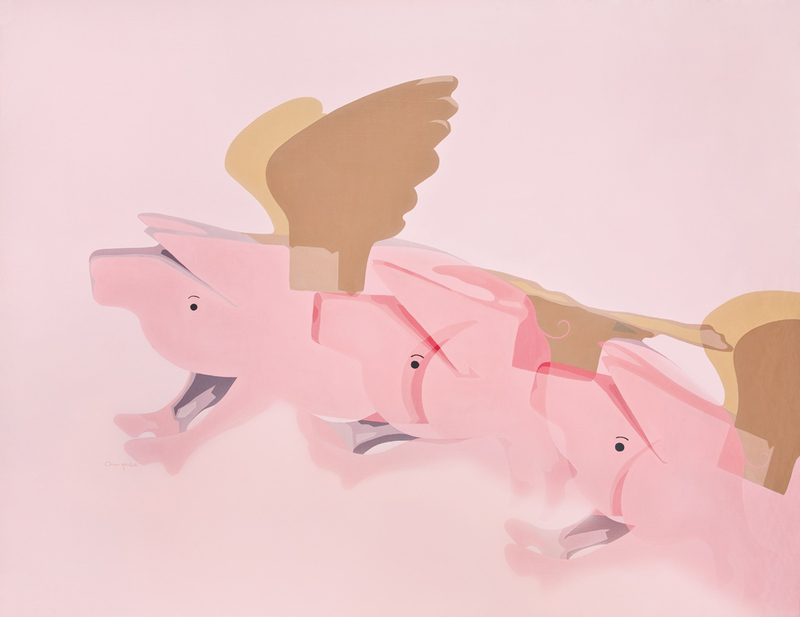 Very quickly, Cao Fei developed a pictorial language entirely her own, in which she superimposes reality and fiction, and history and the present day. In ‘docu-dramas’ like Nu River (2007) or Cosplayers (2004) she consciously adopts a perspective that mediates between the inside and the outside viewpoints, interlocking documentation and fiction. Saatchi Online Magazine reports that art fair GEISAI #11 to be held in Tokyo on September 14 “will be significantly larger than all previous editions, offering space for one thousand exhibitors in individual booths”. Founded by the prolific rule-breaking contemporary artist Takashi Murakami in 2001, Gesai art fair usually takes place in Tokyo twice a year and “differs from typical art fairs in that it allows artists to represent themselves and present their work directly to an audience of collectors, art professionals and art enthusiasts in a professional art fair setting”. Gesai had its American debut in Miami last December to coincide with Art Basel Miami Beach. On the day of the event, art works will be awarded medals by a jury of international art professionals. Judges include Jack Bankowsky, Editor-at-Large, Artforum; Alison Gingeras, Chief Curator, the Pinault Collection; Carol Yinghua Lu, Independent curator and art writer; Philippe Segalot, Art Advisor, Giraud.Pissarro.Ségalot; and Marc-Olivier Wahler, Director, Palais de Tokyo, Site de Creation Contemporaine, Paris. GEISAI #11 will also feature a special celebration of the unique anime and otaku subcultures that grew from southern Tokyo’s electronic and computer shopping district Akihabara and are now taking the world by storm. As part of this celebration, GEISAI #11 will debut a special festival space featuring working shops inspired by those in Akihabara, and special surprise performances. GEISAI #11 will be followed by the second edition of GEISAI Miami, which will once again be hosted by PULSE Contemporary Art Fair, and take place in the Wynwood Art District, December 2008, coinciding with Art Basel Miami Beach. Top ten shows in Hong Kong this September part 2 published in Saatchi Online Magazine and written by Art Radar Asia’s editor Kate Evans. Sundaram Tagore’s first solo show in its new gallery in Hong Kong features the eminent American artist Lee Waisler whose works are in permanent collections of prestigious institutions such as the Metropolitan Museum of Art and the Victoria and Albert Museum. 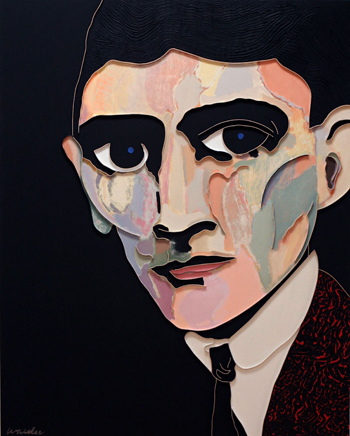 Lee Waisler presents two series of works: portraits of iconic figures and abstracts, both in a trademark style in which he loads the canvas with layers of paints and organic materials to create thick sweeps of pigment separated by knife-sharp ridges. His portrait series includes the stylized over-bold faces of, amongst others, Marilyn Monroe, Mahatma Gandhi, Kafka and Albert Einstein. Their textured planes draw our hands to hover over the surface, curious, wanting to touch but not quite daring: a potent echo of the real life lure of iconic idols and our visceral compulsion to draw near, look closely and touch. For this show Waisler has created an interesting new body of work incorporating Chinese culture and imagery including a portrait of Anna May Wong, a famous Chinese-American actress of the 1930s and 1940s and Doctor Ho, a renowned healer from China. In the works of this much anticipated show two years in the making, Chinese American artist Larry Yung places idealized images of American and Chinese people alongside material objects of desire and cultural icons such as Mickey Mouse. Smiling characters are painted with a flatness reminiscent of the iconography of Chinese propaganda posters and 1950’s US advertisements of the American Dream. This juxtaposition invites us to examine the complex relationship between the demise of the American Dream and the rise of Chinese aspirations. His stiff stylized figures appear artificial and remind us material prosperity is impermanent and illusory: part of a fleeting cycle of lack, desire, success and loss. His work has been commissioned by Proctor & Gamble, Pierre Cardin and Nordstroms and is held in various private collections including those of Marvel Comics, Esquire Magazine and Microsoft. Schoeni was pivotal in the nineties in promoting the art of then unknown Chinese political pop artists such as Yue Min Jun, Zeng Fan Zhi and Zhang Xiaogang, many of whom have since gone on to achieve iconic status and high auction prices. This September the gallery is showing the next generation of 80s born unknowns, the rebellious Niubi Kids. Untranslatable and a play on Chinese slang curse words, the word ‘Niubi’ is used by young people to identify the new wave of rebellious cool young Chinese. Also termed China’s ‘Me’ generation, a product of China’s One Child policy, they are less concerned with politics than with themselves, issues of identity and alternative worlds. This provoking not-to-be missed show of mixed media works, replete with influences from the internet, comics, video games and Japanese culture, is the result of two years work by the gallery and is the first in a biannual series. 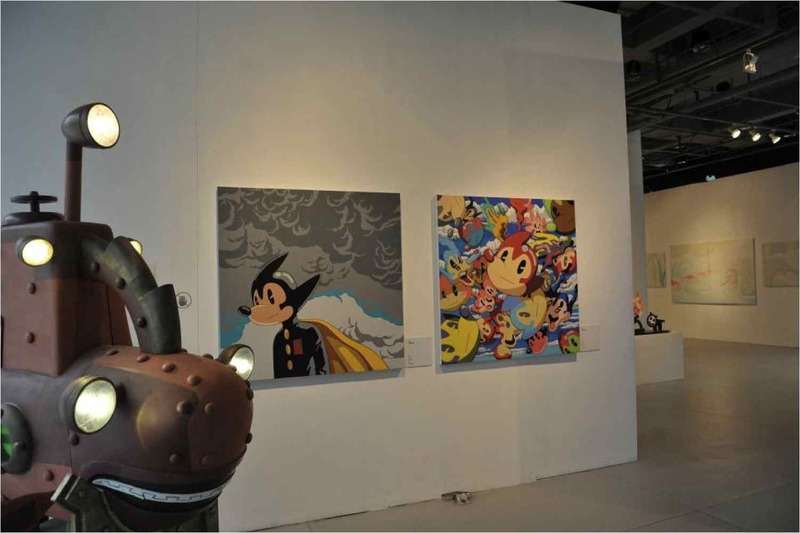 The influence of manga, anime, video games and cartoons on contemporary art is one of the most prominent current trends. 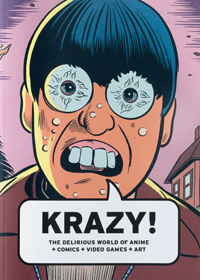 The exhibition “Krazy” brings the worlds of anime, comics, cartoons, video games, manga, graphic novels and contemporary art together in one exhibition. The exhibition is co-curated by some of the art forms’ most influential artists and cultural producers, including Pulitzer Prize-winning author Art Spiegelman, The Sims video game creator Will Wright, comic artist Seth and DreamWorks animated feature film director Tim Johnson. Conceived and developed by Vancouver Art Gallery senior curator Bruce Grenville, the exhibition will travel to a New York City arts institution in March 2009. One of the largest exhibitions ever organized by the Gallery, “Krazy!” will occupy two floors of gallery space and is designed in collaboration with Tokyo-based architectural firm Atelier Bow-Wow-a design team renowned for their understanding of informal culture and ability to enhance communal visual experiences. Divided into seven sections defined by medium, the exhibition takes viewers through ever-changing gallery environments, including a mini-theatre for viewing animated cartoons and anime, immersive video spaces and innovative reading environments for visitors to experience a deluge of manga, graphic novels and comics. The exhibition comprises more than 600 artworks, including original sketches, concept drawings, sketchbooks, storyboards, production drawings, films, video games, animation cels, three dimensional models, sculptures, books, manga and much more. 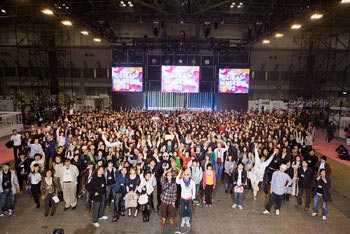 Asian participants include Iwatani TORU, Mamoru OSHII, Mamoru NAGANO, Shigeru MIYAMOTO, Yoko KANNO, Ichiro ITANO, Moyoco ANNO. If you enjoyed this post and would like to receive email updates direct to your inbox, subscribe to Art Radar Asia now. INDIA SINGAPORE CHINA KOREA TAIWAN The UK’s first Asian Art Triennial opens 5 April -1 June 2008 and is conceived by Shisha, the UK’s premier international agency for contemporary South Asian crafts and visual arts, in partnership with Castlefield Gallery, Chinese Arts Centre, Cornerhouse, The International 3, Manchester Art Gallery and Manchester Metropolitan University. Asia Triennial Manchester 08 shows fresh and innovative work that represents the best of contemporary visual art from Asia: a festival of visual culture that not only celebrates Manchester’s diverse communities but also explores cultural, artistic and political debates of the 21st century. The international programme features stunning venue-based exhibitions, surprising site-specific new commissions, innovative residencies and extraordinary publicly sited work by artists from Mainland China, Hong Kong, India, Korea, Singapore and Taiwan. None of the work featured has been seen in the UK before and for some of the artists ATM08 will be their UK debut. The inaugural Asia Triennial Manchester (ATM08) programme echoes Manchester’s radical political and social history, reflects new artistic practice, and seeks resonances between the city and Asia by exploring the notion of ‘protest’ – in its widest sense. Castlefield Gallery is working with Channel A (Hongjohn Lin and Ella Raidel) from Taiwan and p-10 (Woon Tien Wei, Jennifer Teo working with collaborators Jeremy Chu and Kai Lam) from Singapore who will reside in Manchester in the lead up to ATM08. The gallery space will become a hive of activity with both groups presenting new site-specific work that has been developed through their time in the city. Channel A will reinvent the identity of the 18th century bogus Taiwanese, George Psalmanaazaar, as an estate agent, in order to explore the notion of property and fantasy in Manchester and Taiwan. p-10 will create a symposium platform for an accumulative research based investigation into different notions of ‘localness’ within the context of the international Triennial and Biennial. Chinese Arts Centre has initiated both a residency and exhibition programme. There will be two artists’ residencies, March – April with Chinese artist Mao Yan Yang, who will continue his interrogation of the media’s depiction of events focusing on the Triennial’s theme of protest and May – June with Hong Kong comic artist Kong Kee. For the exhibition, the Centre is working with two Mainland Chinese artists, Chen Shaoxiong and Qiu Anxiong, who both use Chinese ink painting in an experimental way. Using their daily life story and a modern city portrait, they create new ink paintings and animation, which illustrate a sense of insecurity of the rapid urban development in China. Cornerhouse is staging “What do you want?” with artists Tejal Shah, Jasmeen Patheja, Shilpa Gupta, Surekha and Shaina Anand, all living in India and working amongst a new generation of artists with activist concepts. The exhibition and community project challenges traditional cultural opinion, contemporary political issues and controversial social situations, the artists use photography, performance, sculpture, video and new media to analyse problems faced by Indian women and those living within conventional family structures. The International 3‘s project features Chinese artist Han Bing whose work uses photography, video and performative social interventions to question everyday living and the impact of human progress. Han Bing’s art manifests a kind of amor mundi — love of the world — investing ordinary objects with a subtle sense of the sacred. For ATM08, Bing is planning to involve approximately 100 local people in the European premiere of a surprising outdoor performance in Manchester on Saturday 12 April. Manchester Art Gallery presents contemporary work by two Korean artists, Gwon Osang and Choe U- ram. Gwon Osang makes extraordinary life-size sculptures of people. He uses hundreds of photographic images to build up the surface appearance of his models, including the face, their hair and their clothes. The process gives his beautifully crafted figures both photo-realist and surreal qualities. Following a recent Manchester residency, Gwon is now creating new work including a sculpture of the musician Graham Massey – best known as a member of Manchester’s electronic pioneers 808 State. This will be exhibited from 5 April together with an existing work Control. 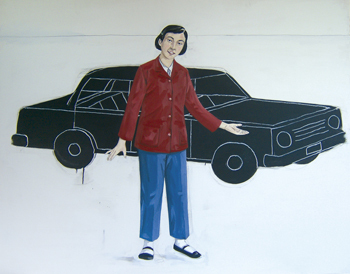 Manchester Art Gallery also presents Gwon’s first major UK solo exhibition from 21 June – 21 September 2008. Choe U-ram uses precision cut and polished metals, machinery and electronics to create stunning kinetic sculptures inspired by sea creatures and plant life. Two of the artist’s enormous robotic works, Urbanus Female and Urbanus Male, will be exhibited for the first time in the UK in the gallery’s atrium 5 April – 21 September 2008.